Ending quest of over 65 million diabetic patients of India, globally renowned Abbott healthcare company has introduced Flash Glucose Monitoring System to help both, diabetics as well as medical professionals to treat patients in a much informed manner. Changing lifestyle, lack of nutrition and demographic transitions have led to a decline in overall health of people in India. It also leads to a sharp rise in lifestyle and other dangerous diseases like diabetes. 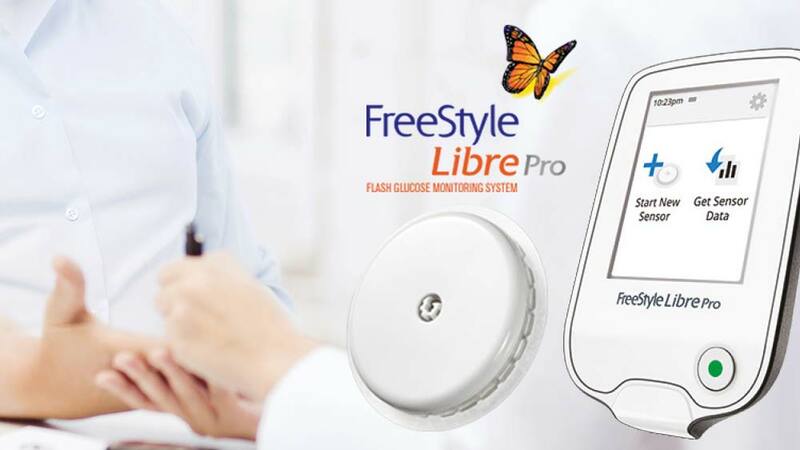 With an aim to manage diabetes more efficiently, Abbott, a global healthcare company, which aims at improving human life by developing innovative products and technologies, has launched the FreeStyle Libre Pro Flash Glucose Monitoring System in India. Flash Glucose Monitoring System is a transformative new glucose monitoring tool which will help both, diabetics, as well as healthcare professionals to manage this condition better, and in a much informed manner. This unique technology is woven around software which reads and analyzes blood glucose levels and provides an Ambulatory Glucose Profile Graph (AGP), which can be interpreted by endocrinologists. A patient’s hypo- or hyperglycemic trends following fasting, or after a meal can be determined by this system for a span of over two weeks, in order to get a better understanding of glucose spikes. The system consists of a filament, which is 5mm long and 0.4 mm wide and is embedded under the skin. The probe records glucose levels run in the interstitial fluid every 15 minutes and captures over 1300 readings over 14 days. This filament sensor is small and round and usually placed on the patients arm and secured with a self adhesive pad. No interaction or intervention is required for the readings, and the patient can carry out his daily routine chores effortlessly. Once the sensor has captured the requisite data, the physician can scan and download this data to a computer and accordingly design the therapeutic module. As per the data of International Diabetes Federation, India today has a diabetes population of 65.1 million compared to 50.8 million in 2010. The Association of Physicians of India (API) has recently conducted a survey which was sponsored by Abbott, reveals that 90 per cent of people surveyed with uncontrolled diabetes [HbA1c level higher than 7 per cent] in India continue to believe that they have control over their glucose levels, despite facts suggesting otherwise. India is the first country where Abbott’s Flash Glucose Monitoring system has been commercially launched will be a boon to patients and doctors alike. It is answer to a diabetic population of over 65 million in the country. Pamper hands and feet with ‘Selfie’ ..